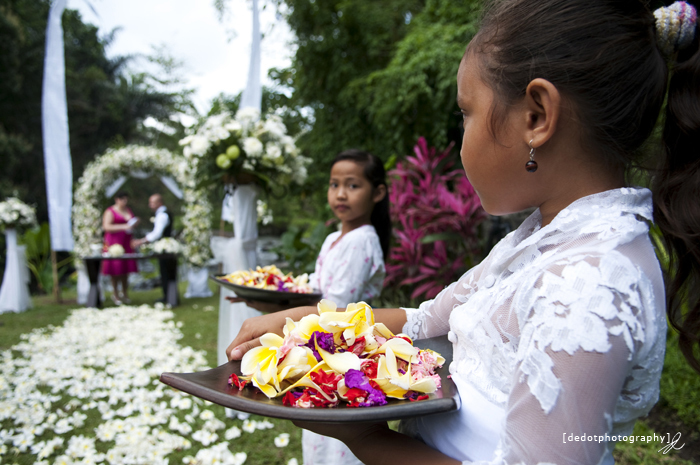 This is my first time to capture wedding ceremonial as wedding photographer at Villa Samaya Ubud, the villa is located in the center of the township in the village of Ubud, Bali. 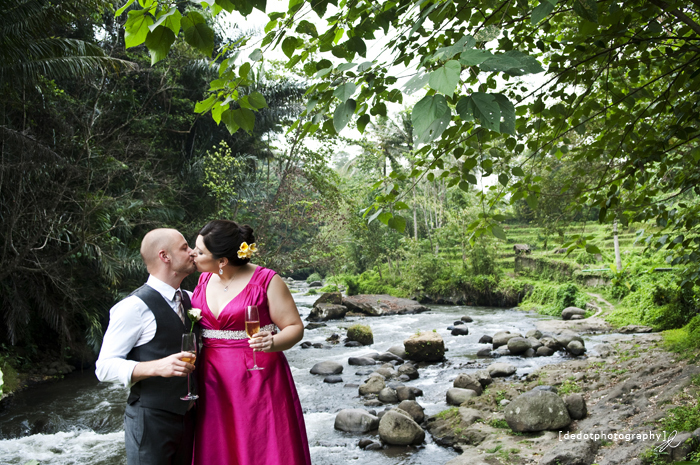 The place is beautiful with views of rice fields and small rivers flowing water is very clear, there is even a spring inside the villa area which every day is still often utilized by Balinese local residents to be made in or drinking water for their daily needs. 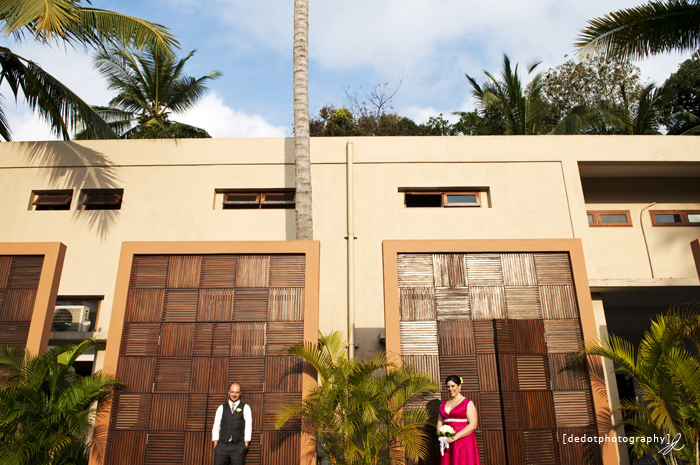 A beautiful place by keeping the local indigenous wisdom. 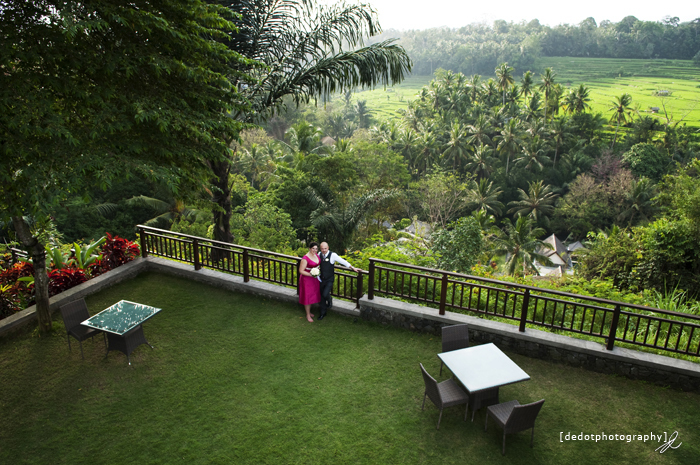 Many couple hoping to get married in Bali, Bali is indeed one of the top destination for a place to get married, besides honeymoon and holiday in the world. 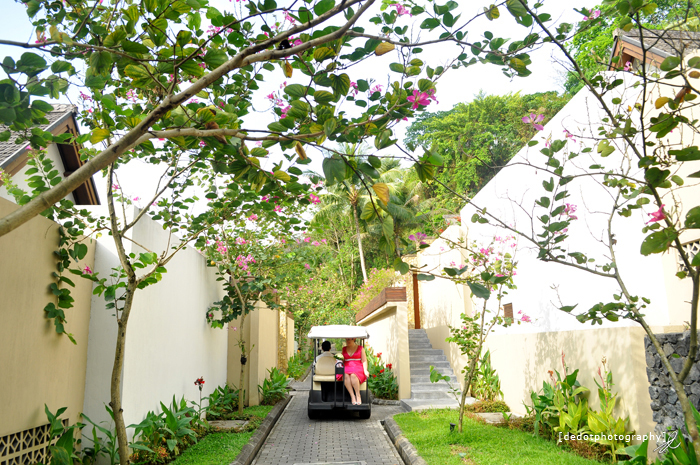 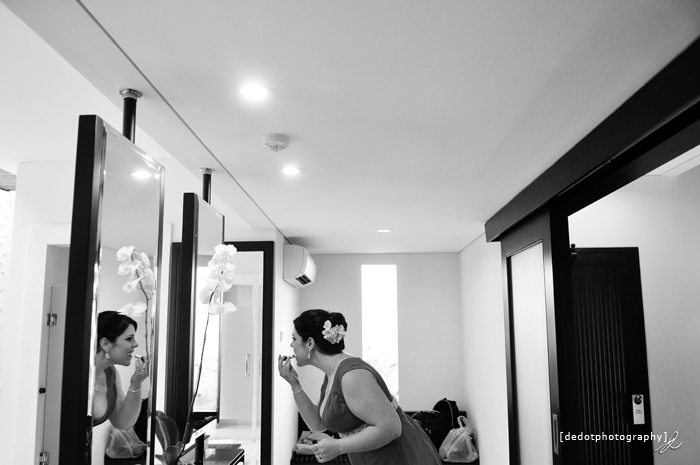 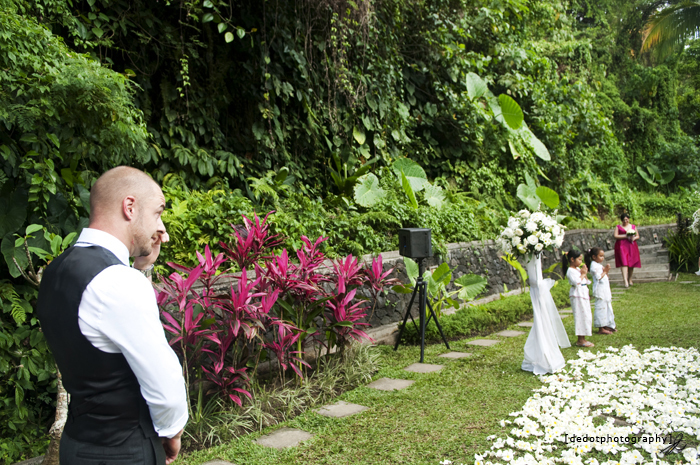 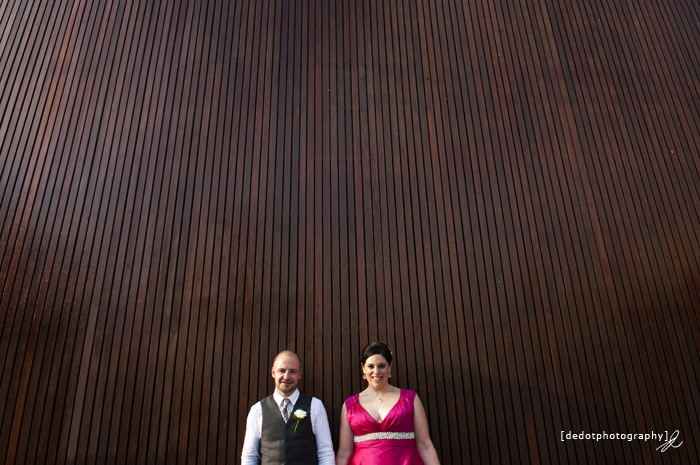 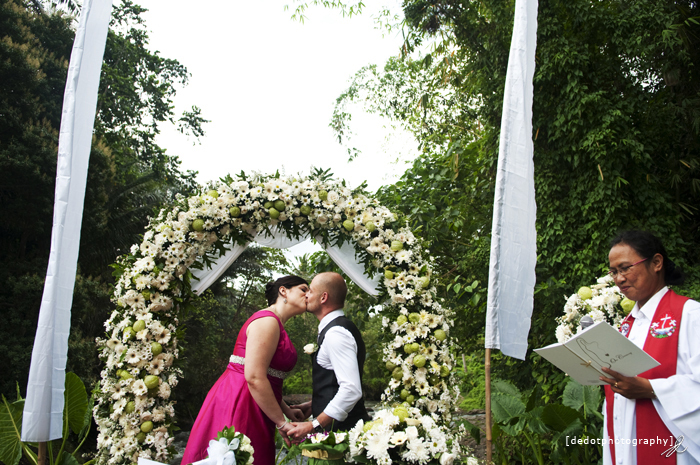 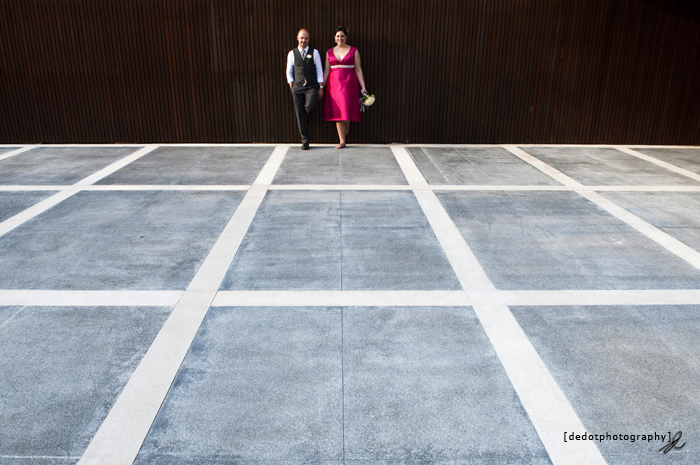 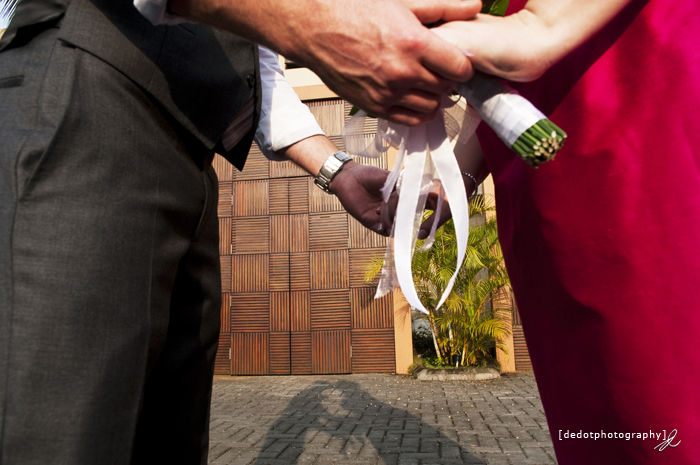 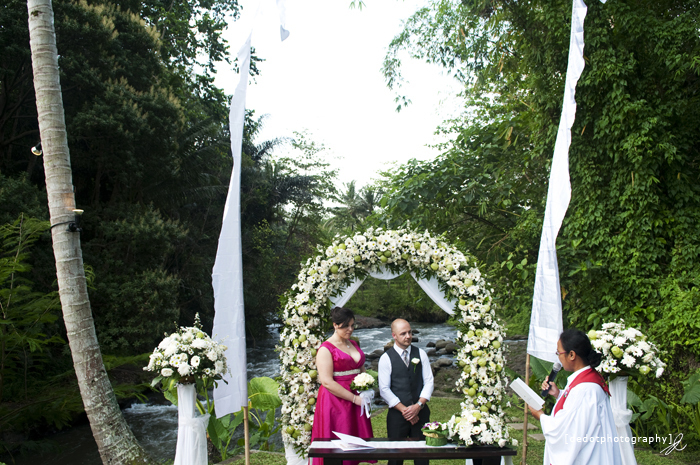 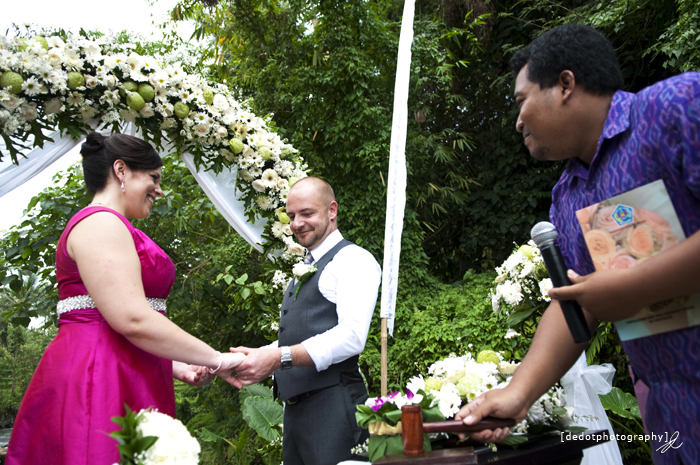 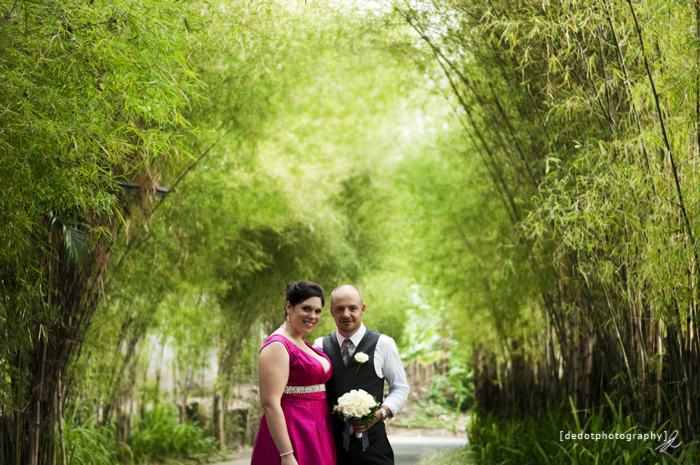 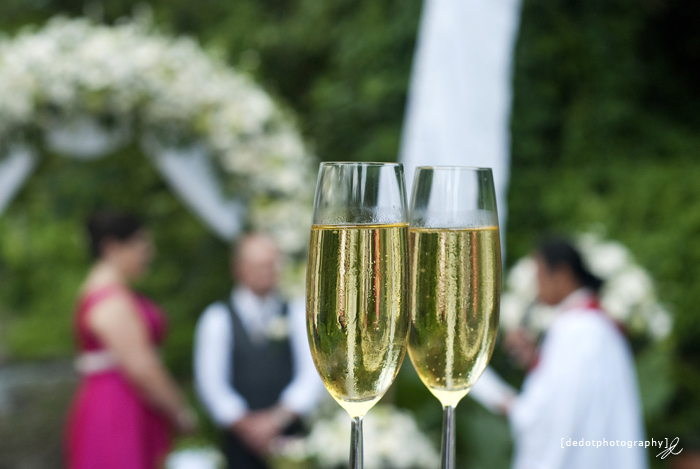 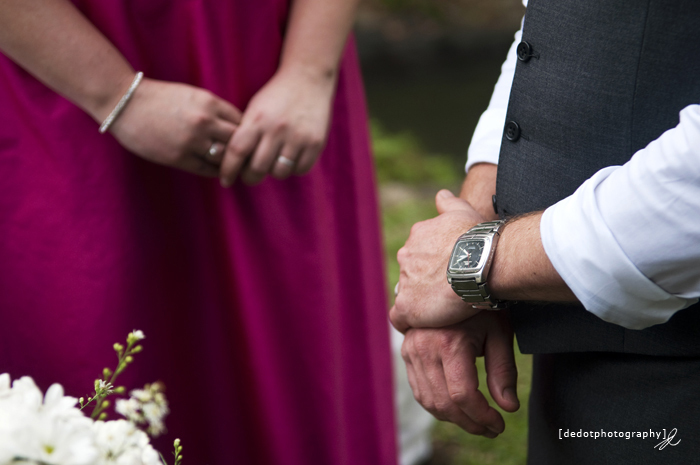 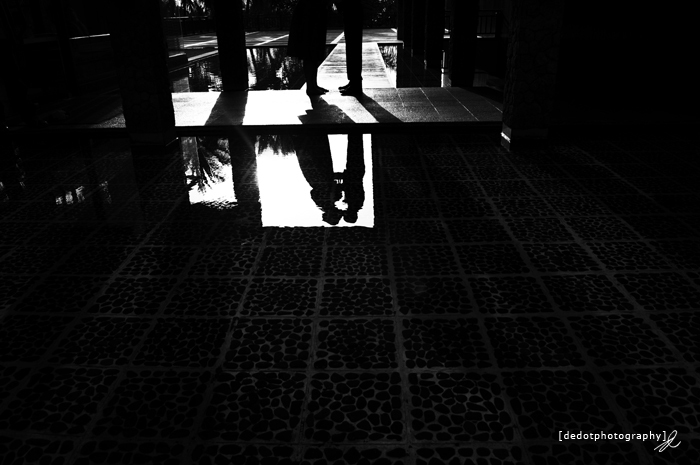 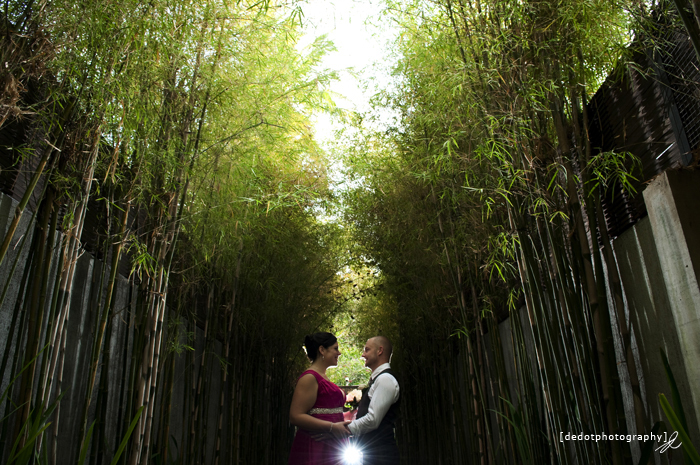 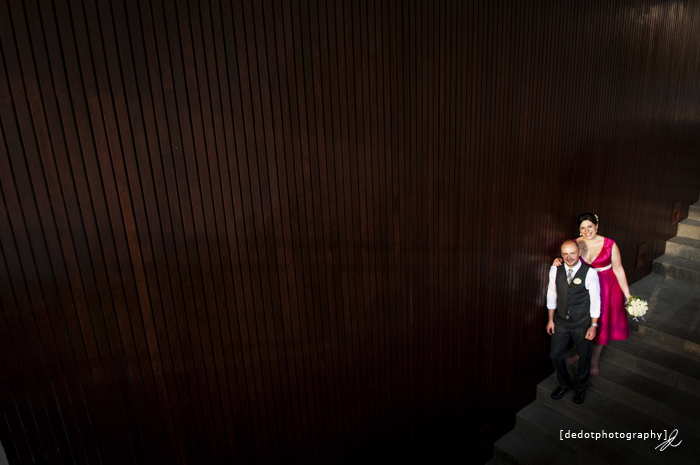 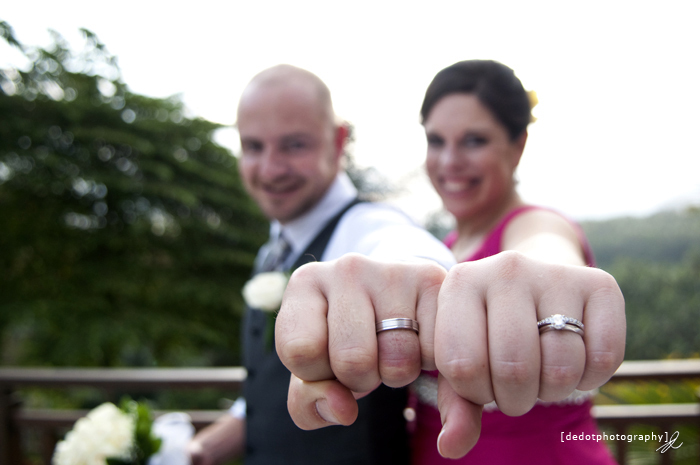 Like couple James and Jessica they had married at Villa Samaya, a beautiful and quiet villa. 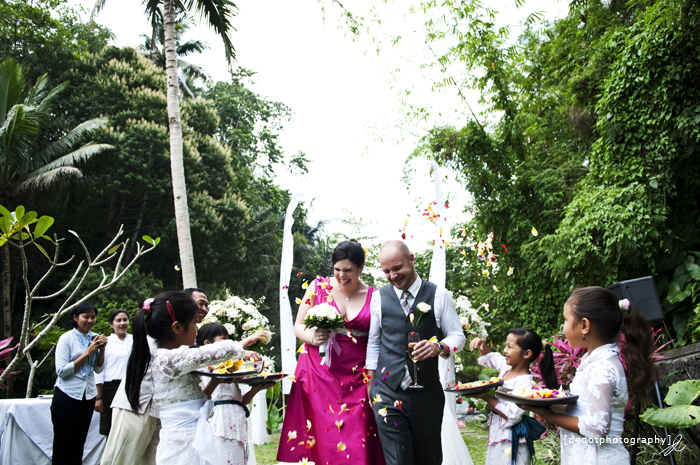 They were come from Australia. 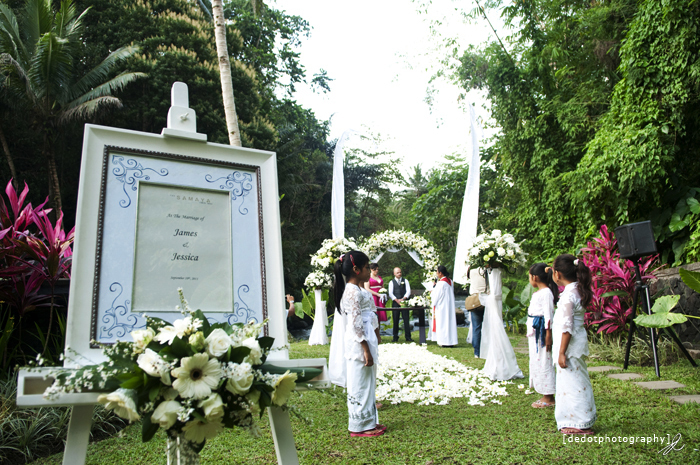 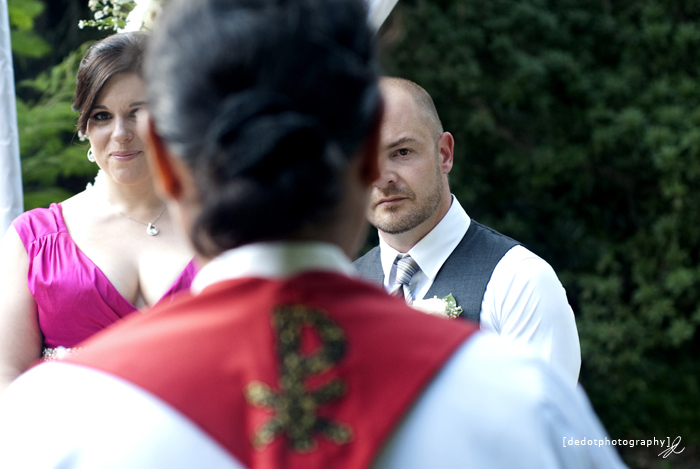 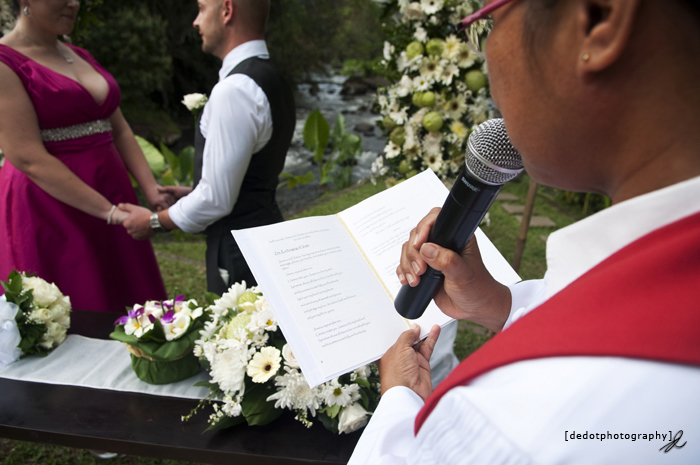 A wedding ceremony is simple but still look at the sanctity of their blessing ceremony. 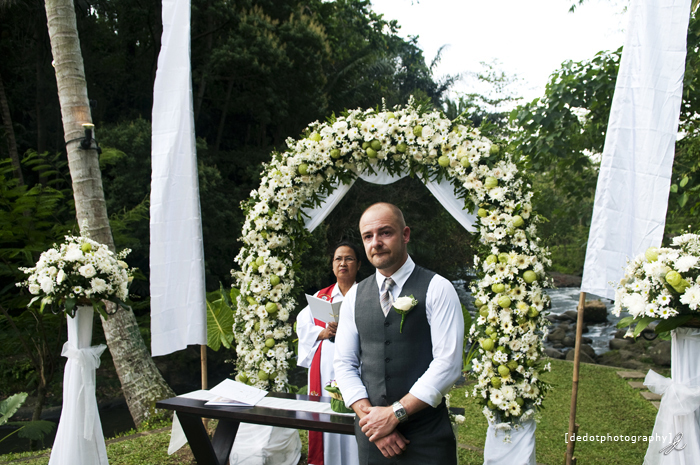 Here are some photos of preparation, the blessing and some of them pose together after the blessing at several locations within on the villa, enjoy.